It has been eight seasons of ‘The Walking Dead’, and over the course of its run, this show has gained popularity like no other zombie show. Based on the comic book series of the same name, it tells the story of a world that has been taken over by a virus that turned people into zombies. What made this show different, from the movies of its genre, is the fact that it decided to keep the zombies in the background. 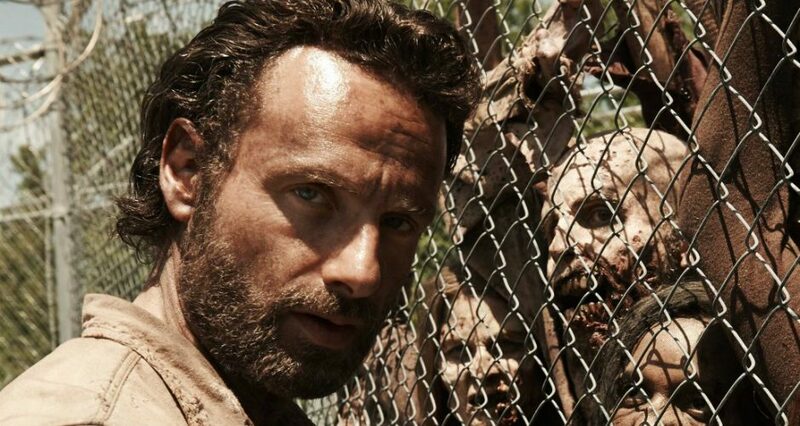 Yes, there are nerve-racking scenes where Rick Grimes and Co. had to run for their lives from the walkers. But the show also substantiated the fact that in the end, nothing, not even zombies, are more dangerous than humans. Amidst survival, stability and staying alive, it all comes down to preserving your humanity. I could go on and on about the allegories I drew from this multi-layered show, but that’d make another article. While the show is on its mid-season break, and you want something similar to keep you busy during this hiatus, then read on. 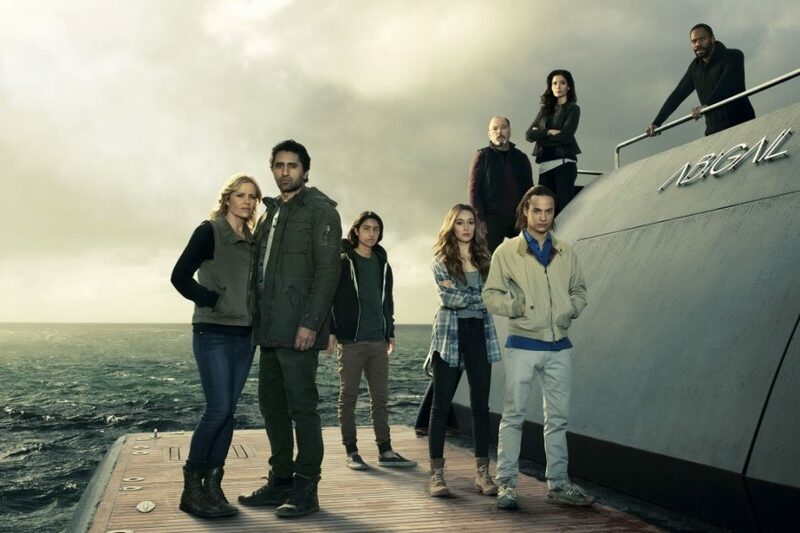 There are web-series connected to the show that you can watch, but you could also try something new in the same genre.Here’s the list of TV shows similar to The Walking Dead that are our recommendations. You can stream some of these shows like The Walking Dead on Netflix or Amazon Prime or Hulu. Alright, this one is interesting. A girl attends a boat party and some unusual events their land her as a zombie. But, she has found a way to keep herself human-like. She just has to keep feeding on brains, on a regular basis, and she doesn’t have to be the stereotypical zombies. So, she gets a job at the morgue. In addition to keeping her sane, the brains allow her to imbibe some characteristics and events from the life of the people they belonged to. Using this ability, the girl assists a detective in solving cases. You should watch this show if you want some time-out from the tense atmosphere of ‘The Walking Dead’. 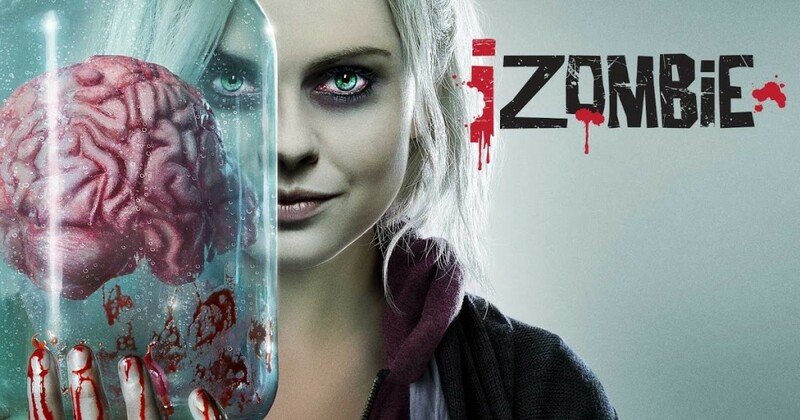 ‘iZombie’ will provide you with some comic-relief and good entertainment at the same time. While this is not a zombie show, it’ll scare you like ‘The Walking Dead’ did. Maybe, even more! Every season covers a single story, set in different eras and focusing on different types of horrifying things. The latest season, named ‘Cult’, is set in the aftermath of the 2016 U.S Presidential Elections. Pretty horrifying, right? This show has had some lows and some pretty good highs. 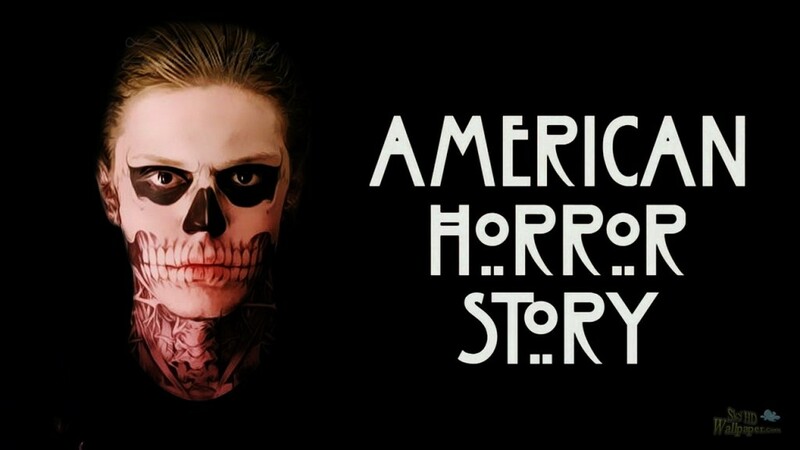 It has a league of talented actors in its pocket, like Sarah Paulson, Kathy Bates, Jessica Lange and Evan Peters. The show, sometimes, feels like an intelligent and creative commentary on relevant social issues. So, watch it with an open mind. This show has run for thirteen seasons now. And the creators appear in no mood of wrapping it up. Think of any type of ghost or paranormal thing, you’ll find it in this show. Zombies, vampires, werewolves, angels, demons, and everything else. For the first five seasons, demons were the counterparts for TWD’s walkers. Their reputation has consistently degraded over the seasons, but that’s the showrunners’ fault. It is an exciting show, nevertheless. Underneath all the supernatural and spooky stuff, it is basically a story of two brothers on the road to save the world. This one is not really about zombies, but it is about a massive incident that changes the world. An unexplained event, named the Sudden Departure, results in the overnight disappearance of about 2 percent of the total world population. 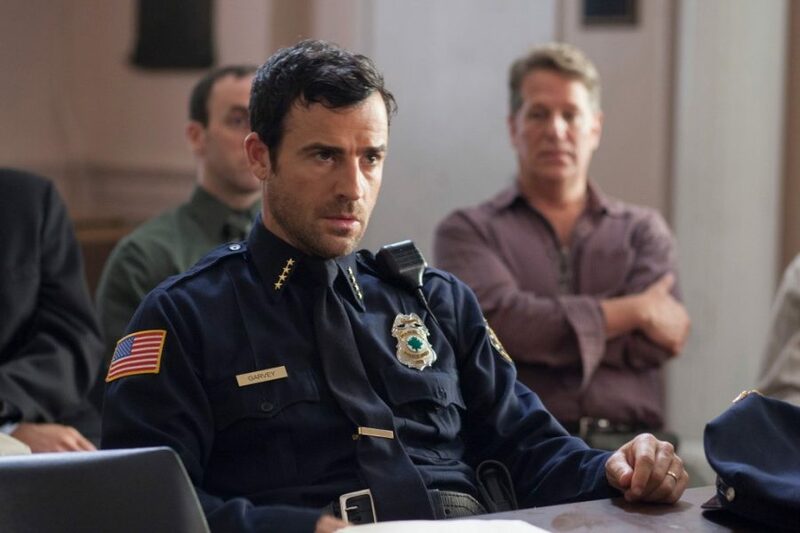 Based on the novel of the same name by Tom Perrotta, also the show’s co-creator, it follows the story of the people who are left behind and how they cope with this loss. This show received massive critical acclaim with the praise directed towards its writing, direction, acting and the underlying tone of the show. Considered, by some, as one of HBO’s best dramas, it is something that you should definitely watch. 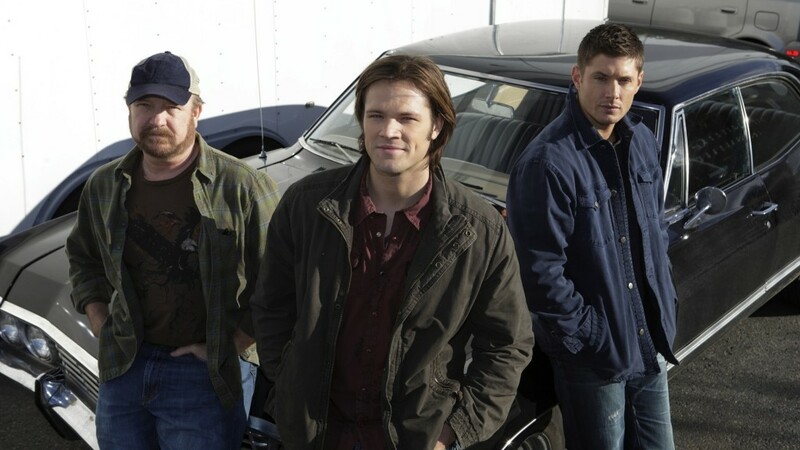 The show that has become a worldwide phenomenon will air its final season in the next year. Hopefully! While ‘Game of Thrones’ and ‘The Walking Dead’ seem like two highly dissimilar shows, they actually have rather similar issues at their core. The constant power struggle and the brutality to which humans can stoop to are some of their common themes. And if nothing else convinces you, they both have a large army of zombies. Over the run of its seven seasons, ‘Game of Thrones’ has its audiences impatiently dangling to the promise that ‘Winter is coming’. Some of the best episodes of the show featured the showdown between the zombie army and the humans trying to fight them. 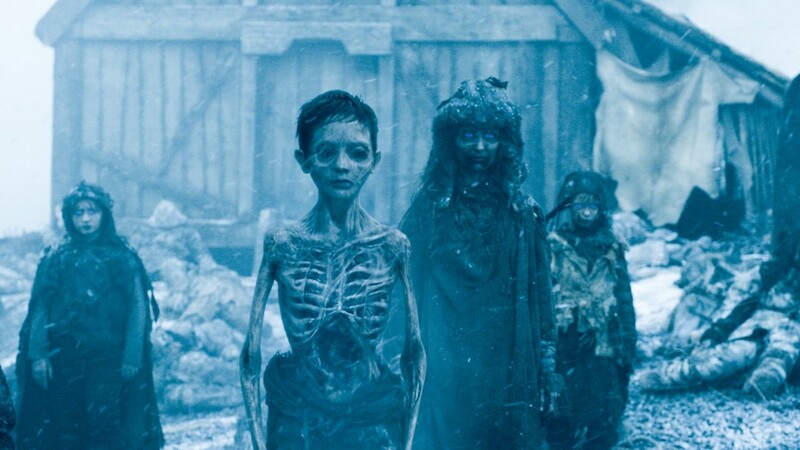 In its final season, it’ll probably be all about fighting the White Walkers. It’s better for to catch up on the story (if you haven’t already) before the final season airs. In this critically acclaimed French show, people come back from the dead, but not in a zombie-like manner. They are alive, well and unharmed. As these people try to resume their normal lives, they have to find out the reason why this resurrection happened. In addition, strange occurrences start happening all over the town. And a mark begins to appear on the bodies of both the living and the dead. An American remake was created for this show, but that didn’t turn out so well and was soon cancelled. The original, however, is still up and running. This British show took another show as its premise and created something exciting. While an eviction is under process in the house of ‘Big Brother’, the rest of the country is undergoing a massive zombie breakout. Soon, the participants and the production staff of the show find themselves constrained, and protected, in the set. It becomes a sanctuary where people come to save themselves from the dangers outside. This show gained a lot of critical acclaim for its writing and acting. And you thought shows like ‘Big Brother’ are useless! 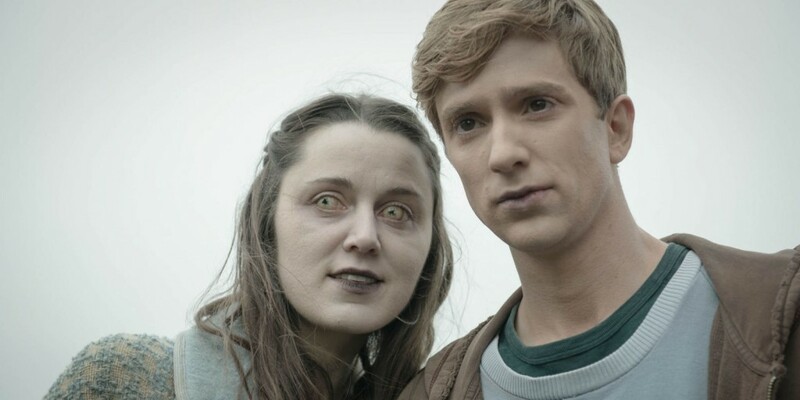 This BAFTA-winning, British show is set after the time a zombie apocalypse has been successfully contained. When the show starts, it has been a while since the apocalypse occurred. Continuous patrol by the local militias aim to find the remaining zombies, but they are not being eradicated. Rather, a cure has been found that allows the zombies to gain back their human consciousness and live like they used to before. However, these people are haunted by the things they did while they were in the zombie mode. Also, they have to face prejudice from the people who are properly human. The show had to be cancelled because of the cuts in its budget. It’s a shame but we’ll have to make do with the two seasons. 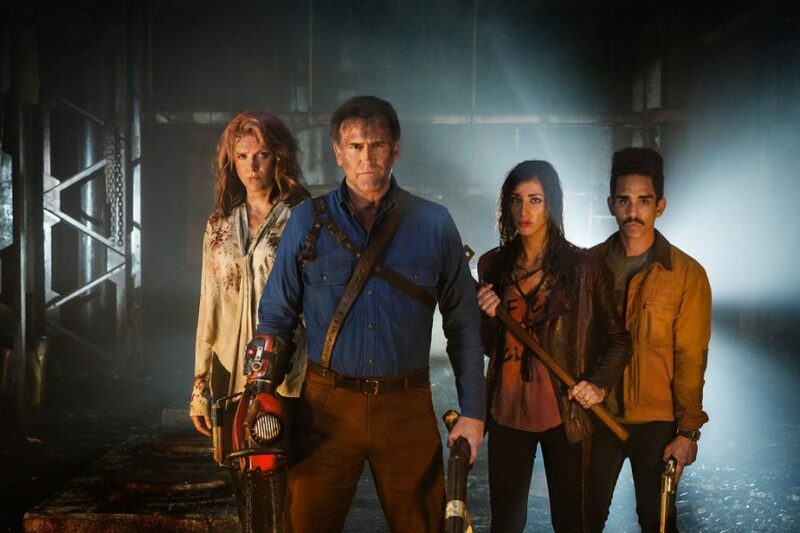 A continuation of the much beloved ‘Evil Dead series’, the original one, it recounts the adventures of Ash Williams. After the events of the last film, ‘Army of Darkness’, Ash has lapsed into laziness and complacency. He is living in a trailer and drinking himself to death in the bars. Soon enough, his past catches up with him and he has to go back to the life of continuously watching over his shoulder and fighting Evil Dead. You might have heard of this series and decided to pass it over because horror isn’t good enough these days. Right? But know this, its first and second season had 98% and 100% rating, respectively, on Rotten Tomatoes. Since you are looking for something scary, why not give it a go? While he was in the prison, Murphy took part in a government-approved experiment. He, along with several other inmates, was vaccinated, but Murphy was the only one who survived. Now that the world has been overrun with zombies, Murphy seems immune to this effect. He gets bit by a zombie but doesn’t turn into one. He joins a group of survivors who will take him to the last remaining Center for Disease Control. Murphy is humanity’s last hope. But, he’s not without secrets. 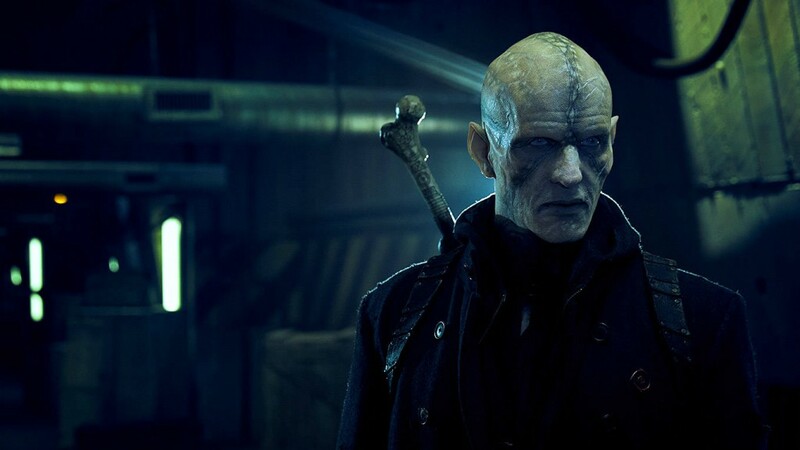 Created by the acclaimed director Guillermo del Toro (highly probable Oscar contender for this year), this show was based on a novel series of the same name. Like its other counterparts, it, too, showed the breakout out of a deadly virus. However, this time, people are not turning into zombies. They are becoming vampires. Somehow, that sounds more dangerous. When a jet full of dead bodies lands at JFK, Dr Ephraim Goodweather is called in to investigate the case. Along with the dead bodies, he finds a strange parasitic worm and an elaborately carved coffin on board. This is as close as you can get to watch something similar to ‘The Walking Dead’. A spin-off series, it covers the time before the full-on break out of the apocalypse. Told in a similar tone of its predecessors, it takes a slow and sinister pace to create the mood throughout the season. The tension steadily builds, as the characters develop and the story-line moves forward. By the finale, it all takes a quite twisted turn and then you have to wait for the next season.